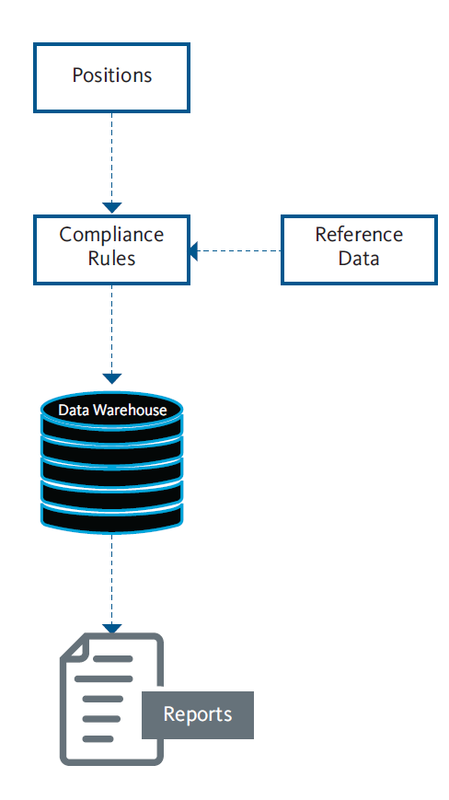 An automated tool used to run complex rules across large numbers of funds to produce meaningful, detailed compliance reports. Financial institutions are under greater regulatory pressure than ever before to provide all manner of disclosure and transparency reporting. Regulations such as Basel III and Dodd-Frank pose continuous challenges in compliance, operations and technology. Similar requirements now form part of the due diligence process of potential investors. Asset Managers are now looking to outsource post-trade regulatory monitoring and reporting to enable them to focus on generating alpha rather than operational tasks. Compliance Master is a rule-based compliance rule management and reporting solution for fund administrators, custodians and asset managers, allowing firms to define rules, run compliance reviews and produce in-depth client targeted reports. The offering enables firms to build and maintain extensive compliance rule libraries containing both individual and aggregated position restrictions which are fully customizable to their needs. Compliance and record-keeping are performed at arm's length from the underlying fund, and easy to use tools make the creation and maintenance of rules easy. Firms can also leverage predefined libraries – including compliance for UCITS funds – fully integrated with Advent Geneva and other portfolio management systems. Broadridge’s Compliance Master enables third-party service providers to offer comprehensive regulatory and investment mandate oversight and quickly add a compliance offering to their service catalogue. Trades are brought in throughout the day, or end-of-day, to meet various reporting needs. Reports and mobile dashboards can be created to provide intra-day or end-of-day visibility into potential compliance violations. This provides a differentiated service to clients, and at the same time, minimizes regulatory and operational risk within their business.